What accounts for export success? A team of international contributors show that learning and capability formation are critical to sustain competitiveness. 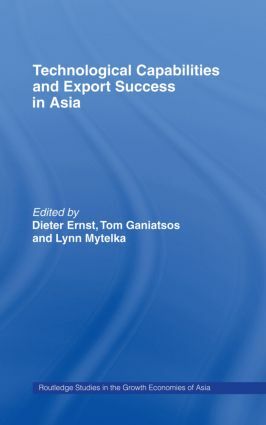 Through a series of case studies of firms in the textile and garment and electronics industries of five Asian economies - Korea, Taiwan, Thailand, Indonesia and Vietnam - Technological Capabilities and Export Success in Asia demonstrates that cheap labour, combined with currency devaluation, is no longer sufficient for export success.